Eikendal Estate in the Stellenbosch Winelands pays homage to 31 years of quality winemaking with its Weintaufe Harvest Celebration on Sunday, 4 March 2012. What started out as an intimate ceremonial blessing to celebrate the end of the harvest at Eikendal more than 3 decades ago has evolved into a social event attracting a vibrant crowd of families and friends each year. Eikendal is known for its acclaimed Chardonnay and superb flagship reds and visitors will get to taste the cellar�s first wine of the 2012 harvest � the flagship Chardonnay� straight from the barrel, after the baptism of this new wine as part of the festivities. Bring a picnic blanket and claim a spot at the water�s edge for the perfect ending to the weekend with Eikendal wine tastings, live music entertainment, craft stalls, lucky draws, vineyard tractor rides, fly fishing, barrel stomping, pony rides and loads of kiddies entertainment to set a merry mood. Delicious food and wine will be on sale so why not swap the Sunday roast for a sublime afternoon on the lawn in the great company of Eikendal. Entrance to the Eikendal Weintaufe 2012 is R60 per person and includes a complimentary glass and barrel tasting for adults, whilst children under the age of 12 get in for free. Tickets will be available at Eikendal prior to the event or at the gates on the day. 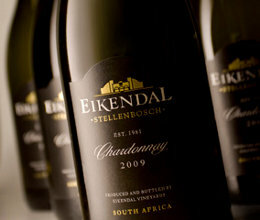 The event starts at 10h00 with the official baptism and tasting of the new Eikendal wine at 12h00.